Pothier, D. (1996) Growth of a sugar maple stand following thinning: Results after 20 years. 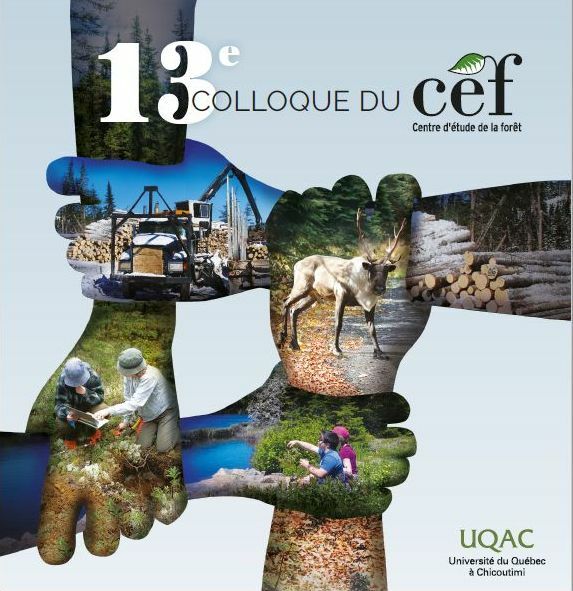 Canadian Journal of Forest Research, 26(4):543-549. Two intensities of thinning were executed in a 50-year-old sugar maple stand of the Station forestiere de Duchesnay (46 degrees 57'N, 71 degrees 39'W). Initial basal area was reduced by 22 and 35% in moderate and heavy thinned plots, respectively. Twenty years after treatment, basal area of thinned plots approached that of controls and their basal area in sugar maple (Acer saccharum Marsh.) was larger than that of controls. Diameter growth of sugar maples was proportional to the intensity of thinning and a significant difference was detected between thinned and unthinned plots. Net increment of the 70 sampled plots was proportional to the intensity of thinning but mortality was inversely related to the thinning level. Ingrowth was also proportional to the intensity of thinning but its impact on net increment was relatively low. Ten years following treatment, the number of saplings of yellow birch (Betula alleghaniensis Britt.) increased with increasing thinning intensity. However, the number of sugar maple saplings remains stable among treatments for all measurement periods. Diameter growth was not affected in sugar maples with annual tapping in comparison to sugar maples with no tapping during the whole study period.